Our ever popular Jack the Joker fundraiser continues this Sunday night in Crotty’s Bar where the jackpot is €5800 as on Sunday night Maurice Cliffe was drawn out of the drum and chose card number 6 which when turned wasn’t the joker but he did win €50. Hiker and Betty Hayes won €25 each. On Saturday October 27th we are holding a fundraising Night at the Dogs in Kilcohan Park. This promises to be a fantastic night and we appeal to all our supporters to please come along and make the night a huge success. Tickets cost €10 and are currently on sale from all players and committee members. We are also running buses on the night so please let any committee member know if you wish to travel by bus on the night. 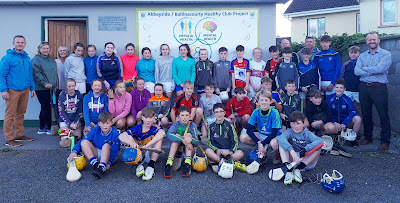 Following on from the success of "Club on the Move", our Healthy Club Programme launched the "Couch to 5k" initiative in association with Waterford Sports Partnership and West Waterford A.C. on Wednesday 12th, at the grounds. It will continue each Wednesday at 6.30pm, culminating in participants taking part in the Brickey's 5km on Sunday November 4th at 11am. It's not too late to join. €20 for 8 weeks training in a fun and healthy environment. Come along! All roads lead to Fraher Field this Sunday as our Senior hurlers take on Ballygunner in the County Final. We appeal to all our wonderfully loyal supporters to come along and show your support for the lads as they attempt to bring the senior hurling championship back to the Village for the first time. After the Senior Hurling County Final the team will be having their meal in The Park Hotel. If anyone would like to join them they are most welcome but must book in advance. Please contact Pakie Hurney, Mike Briggs or Neil Moore by Friday evening if you wish to do so. On Sunday last a large group of boys and girls from our under 12 and 13 teams made the long trip to Croke Park to take part in the GAA's World Record attempt at having the largest hurling training session. 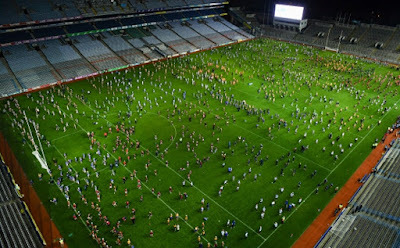 Clubs from across Ireland were represented as 1772 children and their mentors smashed the target to create an official new Guinness World Record. 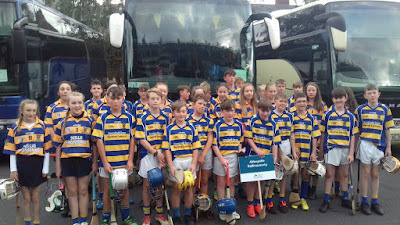 All of the boys and girls who travelled had an absolutely brilliant day out and will remember their big day in Croker for many years. Sincere thanks to all the club mentors who helped organise the trip.